If you're looking for room to stretch out and relax, this is your sofa! At a generous 100 inches in length, you can nap, snuggle up, or read to your heart's content. This style features ultra plush seat cushions and loose box border backs, as well 5 accent pillows, so you can customize your comfort. 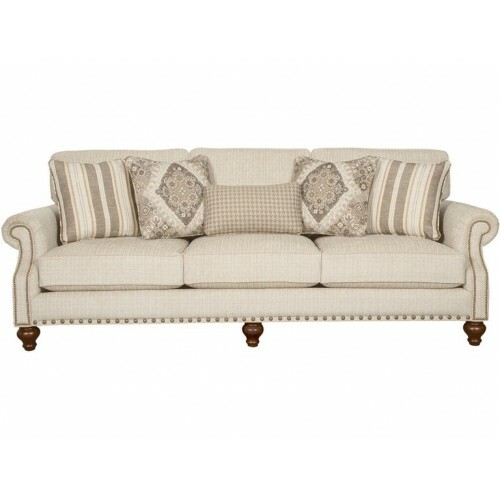 The paneled arms and bottom rails are also accented with brass nail head trim to frame the curves and shape of this handsome sofa. Also available without nail head trim as style number 7624. Also available are the matching loveseat, chair 1/2, and ottoman.